Whichever route you choose to go, they are sure to be fabulous! • Be sure to have a few extra invitations on hand. You will need one to give the mom-to-be to put in the baby book. And you never know when long lost friends will come out of the woodwork and need an invite! 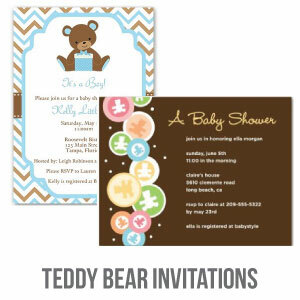 • Send invitations out 3-4 weeks before the baby shower. Any sooner and guests may forget. Any later and they may already be booked up. NEW! After some requests from readers, we whipped up some free, printable Baby Shower Cards! 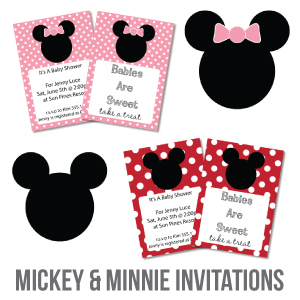 - you can find even more cute (& free) designs here. Click on the invitation of the color you wish to print. A PDF file will open and all you to print. 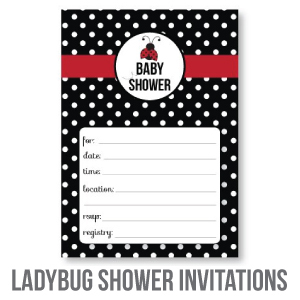 See more FREE printable invitations here. We are always adding new styles so check back often! 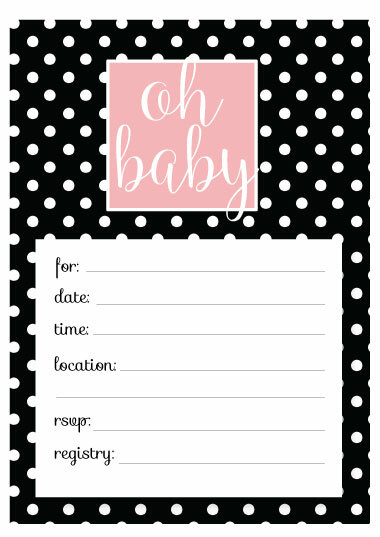 If you're feeling extra crafty and want to make your own, homemade invitations from scratch - gather your glue dots, stamps, stickers and glitter and start making those cute creations! Below is a bit of inspiration! Type out shower details on the computer using a cute font. Print out on decorative paper or vellum. Decorate with cute embellishments (found at craft stores) such as little pacifiers, bottles, or baby feet cut outs. For a simple yet sweet idea - glue a small pink or blue button to the front of a blank card (you can buy both the buttons and cards at your local craft store). 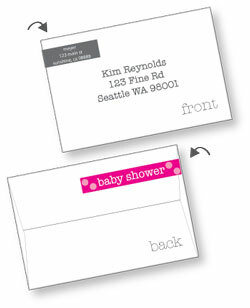 Using a nice quality pen or letter stamps, write "Cute As A Button" right below the button. Visit our baby shower poems page for more cute wording ideas. Cut triangle shapes out of pastel colored felt; fold the sides of felt in to look like a diaper and fasten with a diaper pin; write shower details on a small sheet of paper and tuck inside the diaper. 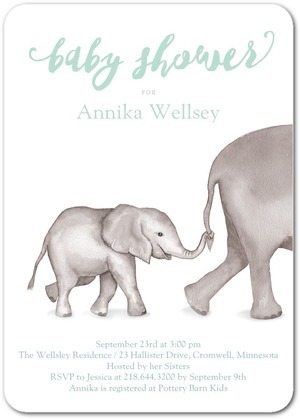 Book Baby Shower Wording Ideas - a great way to build up a library full of classic baby books for the new baby - is to host a book-themed baby shower! 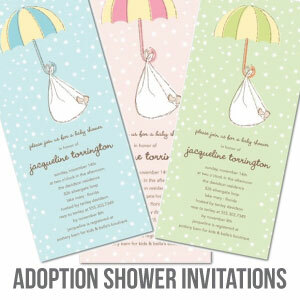 We have created a page full of cute book invitation wording ideas! 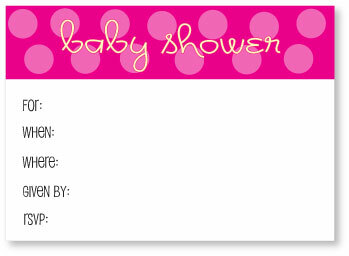 Match Your Shower Invitations To A Cute Theme Idea - We have whipped up a huge list of cute baby shower themes! 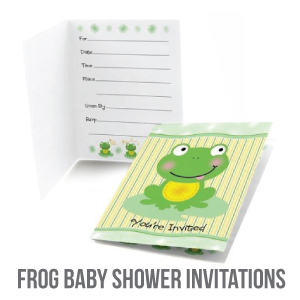 Some include - baby shower footprint invitation ideas, baby girl and boy shower invitation ideas, African American shower invitations, cowboy, princess, stork, baby shower sports theme, ducks, moon & stars, mod mom, survivor and more.